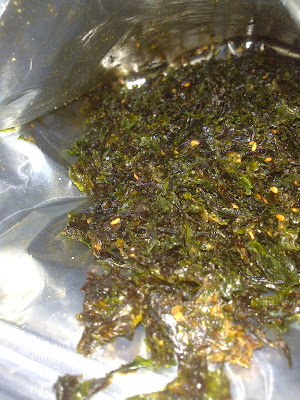 Cheese flavoured seaweed! That's a first! 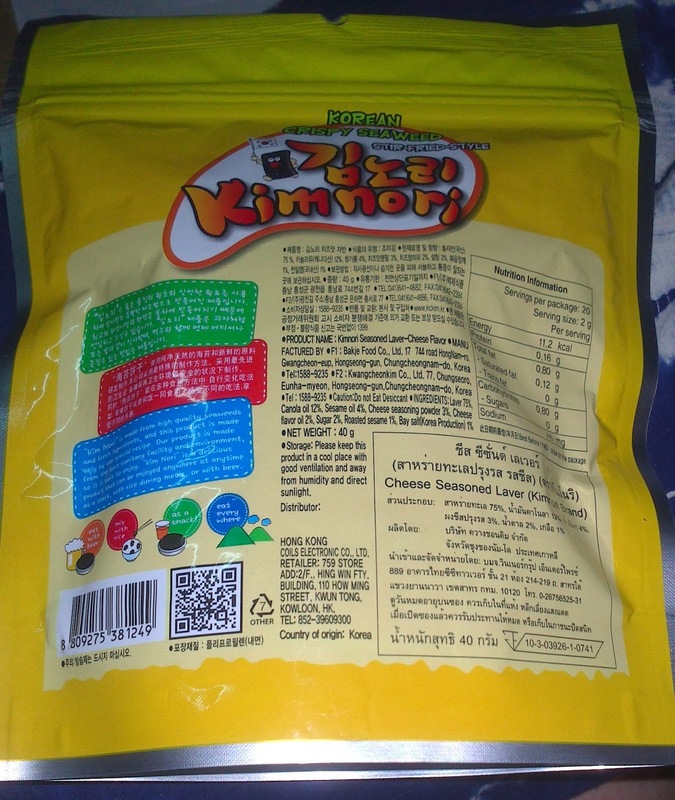 Although it is a Korean product, there was Thai on the labeling too. 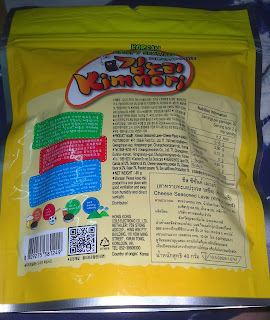 When I opened the resealable bag, there was a really strong cheese smell. (It was a little bit artificial for my liking). 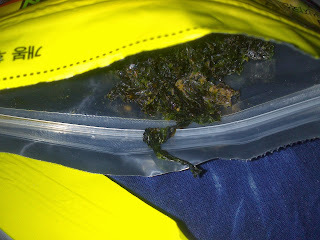 The pieces of seaweed were small and annoying just like toppings. 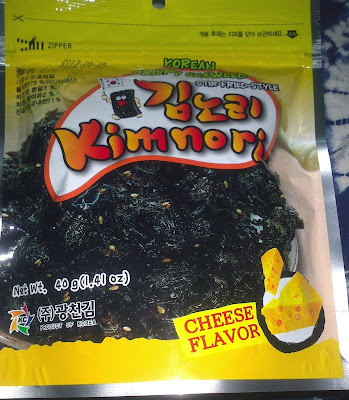 As for the taste, it was very cheesy and savory but too salty.